It has long been recognized by intelligent observers that a global superbug pandemic is inevitable. Humanity has created the perfect conditions for it: global nutritional deficiencies, weakened immune systems, high population density, high-speed international travel and systemic abuse of antibiotics by medical professionals. Drug-resistant superbugs like MERS (Middle East Respiratory Syndrome) are 100% immune to every conventional medical treatment in existence. 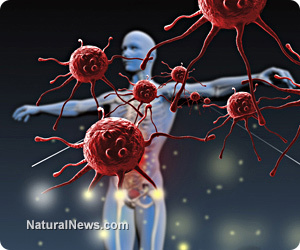 There is no antibiotic, no vaccine, no drug and no treatment practiced by western medicine that can stop these bugs... and infections are deadly. Now we've learned they're spreading out of control in Saudi Arabia, following an explosive pandemic pattern that has infectious disease experts sounding the alarm. "MERS is a particularly nasty disease for those who already have a disease that is chronic," writes Ian MacKay on his blog. (2) "These include diabetes, kidney disease, heart disease, hypertension, lung disease, obesity, malignancy and those who smoke or use steroids." Healthcare worker (HCW) numbers have risen sharply (see below) during the April outbreak to a total of 84 detections, 7% of whom have died. Deaths (left) among HCWs now represent 1.6% of all MERS-CoV positive deaths. This jump in HCW detections has been fuelled by the Jeddah outbreak but also by the parallel HCW cluster among paramedics in the UAE; two as yet completely unexplained events. When healthcare workers are infected, they tend to increase the spread of the disease by inadvertently infecting patients. This is why hospitals can quickly become extremely dangerous places during any outbreak: it's where you're mostly likely to get infected. Hospitals, in essence, become hubs that spread the disease and multiply the pandemic. This is exactly what has been observed in Ebola outbreaks, by the way. State television said Saturday that the country's first case had been discovered. It said the patient, who was hospitalized in Cairo, had recently traveled to Saudi Arabia, where the virus was first identified. So now we have the first documented case of MERS crossing borders and becoming an international superbug. It's only a matter of time before visitors to Saudi Arabia carry this superbug to other nations as well. What's especially alarming about the spread of MERS is that all the tools of western medicine -- drugs, vaccines, surgery -- are completely and utterly useless against MERS and many other superbugs. So when patients get infected and go to the hospital, those hospitals have nothing to offer them except, perhaps, exposure to other superbugs that are now running rampant across hospitals. Half of all hospital rooms are infected with superbugs, and superbugs are now killing 48,000 patients a year in the USA alone. Deadly superbugs are even sweeping California hospitals and nursing homes. Western medicine hospitals are beholden to drug company interests, so they refuse to recognize or prescribe treatments that aren't patented by drug companies. This means hospitals will refuse to prescribe herbal treatments that can block MERS infections such as the "Minor Blue Green Dragon" formula which contains a highly effective anti-pandemic ingredient that has been outlawed by the FDA. As this infection spreads globally, people who rely solely on Western medicine will die en masse, victims of a system of medicine which oppresses and even outlaws competing systems of medicine that offer far more effective solutions for pandemic defense. Those who embrace more diverse systems of medicine (such as Traditional Chinese Medicine) will have anti-pandemic remedies readily available. These remedies actually contain powerful medicinal compounds which have been synthesized by plants rather than by laboratories. Anyone who discounts the power of natural herbal medicine is flatly ignorant: as much as 25% of Big Pharma's drugs are originally derived from medicinal plants in the first place (then modified to be patentable). Statin drugs, for example, were modeled after the natural lovastatins originally discovered in red yeast rice. As the next global pandemic spreads, western medicine's monopolistic rejection of natural remedies will almost certainly result in the deaths of potentially millions of victims -- people who could have been saved if they had only been told the truth about non-pharmaceutical treatments against infectious respiratory illnesses. It's absolutely criminal that when western medical professionals have literally nothing to offer for a deadly superbug, they simultaneously don't want people to have access to anything else that might work either. Their message? "Go home and die, but don't you dare take herbal medicine because that might be dangerous." I'm not saying that a person shouldn't use western medicine in a pandemic, by the way. My advice is to use every tool you can find -- western medicine, eastern medicine, herbal medicine, nutritional therapies, sunlight therapy, etc. Only a fool limits his options to the one single system of medicine that offers zero solutions.